The 26-year-old took the KOM jersey en route to claiming the 50th victory of Quick-Step Floors this season. 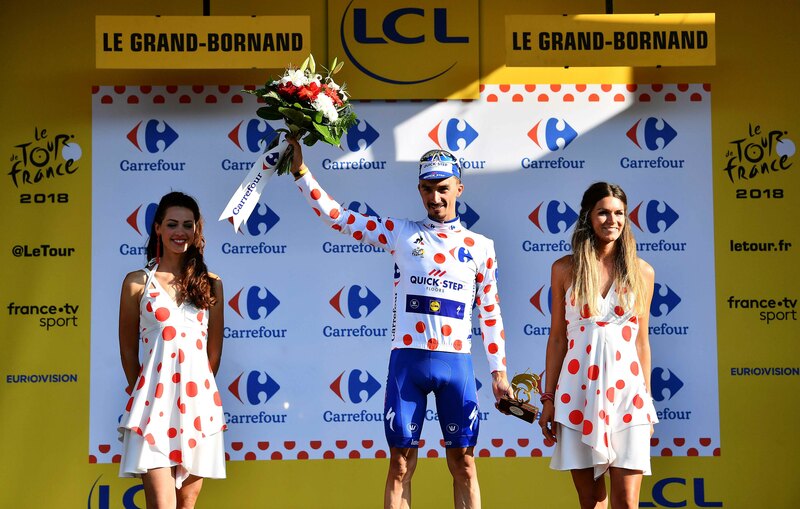 Overcome with emotion after a majestic mountain raid, Julian Alaphilippe basked in joy and glory at the finish in Le Grand-Bornand, where he seized the day, earning not only his maiden Tour de France stage victory, but also the prestigious polka dot jersey. All this came at the end of a 158.5km-long stage peppered with five classified climb, four of which were won by Julian, the same rider who initiated the day’s breakaway which numbered 21 riders, including teammate Philippe Gilbert. “I came close to winning a stage at my debut two years ago and I know it’s not easy to get a stage in the Tour de France, that’s why I am overwhelmed with emotion. It’s really amazing, I can’t even find my words, but I’m thinking about my family and I’m really glad to have made them happy. It’s for sure an amazing day, it couldn’t have been better than this”, Julian said, beaming with happiness, in Le Grand-Bornand, where a Tour de France stage finished for only the fourth time in history. On Tuesday, the riders faced the first mountain stage of the 105th edition, one which packed the steep Montée des Glières, with its unsurfaced plateau – which Julian knew well from the 2013 Tour de l’Avenir, where he won that stage – Col de Romme and Col de la Colombière, last of these peaking 14.5 kilometers from the finish. 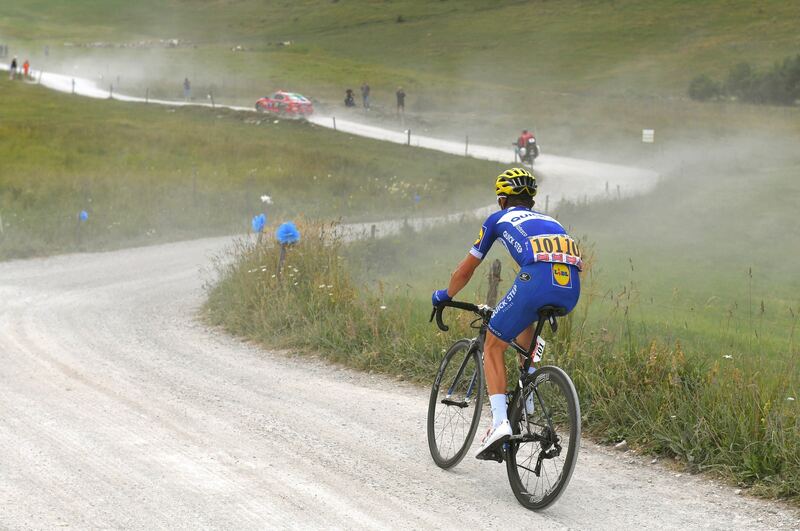 Julian laid the foundations of his memorable victory on the penultimate ascent, when he set out in pursuit of lone leader Rein Taaramae (Direct Energie), catching him with two kilometers to go to the top and dropping the Estonian to claim maximum points, before flying over the short descent to the bottom of the last climb. “It was a hard day, especially in the last 30 kilometers, when I was alone, but that makes this moment even more special and beautiful”, explained Julian, whose 2018 season includes victories also at Colombia Oro y Paz, Vuelta al Pais Vasco, Flèche Wallonne and Critérium du Dauphiné.